After canceling our trip to Europe over the holidays, we’ve been in search of another winter destination. 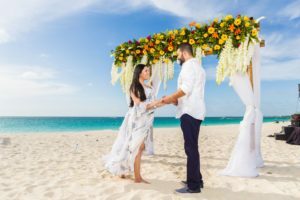 Our requirements were that the destination would have tons to do even after the holidays, be located not too far from us, and have lots of adventurous and relaxing activities for couples. We ended up deciding on St. George in Utah. The area is just 90 minutes from Las Vegas (which we love to visit) and is home to Zion National Park (which has been on our list forever!) To help ease our wanderlusting cravings a bit, we decided to plan a mock winter trip to St. George. 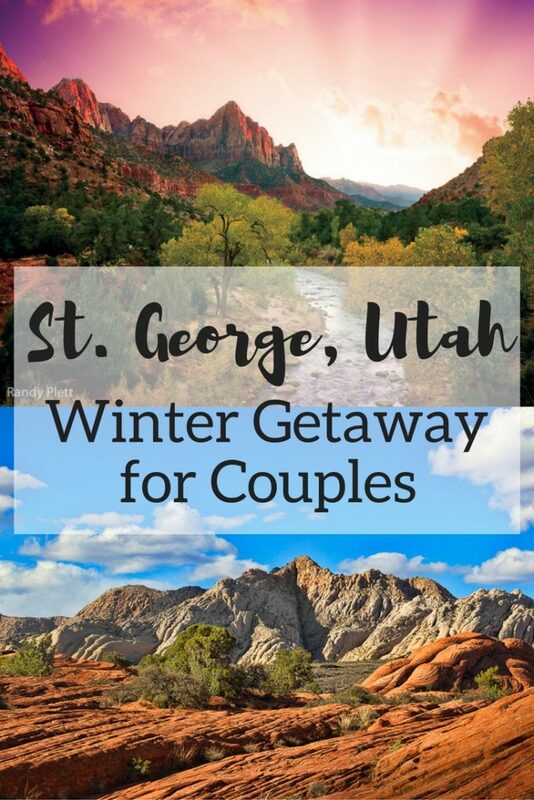 Fingers crossed we’ll actually be able to use all this trip planning info for a winter getaway to St. George in the next few months. If not, maybe you’ll be able to use our research for your own winter getaway! 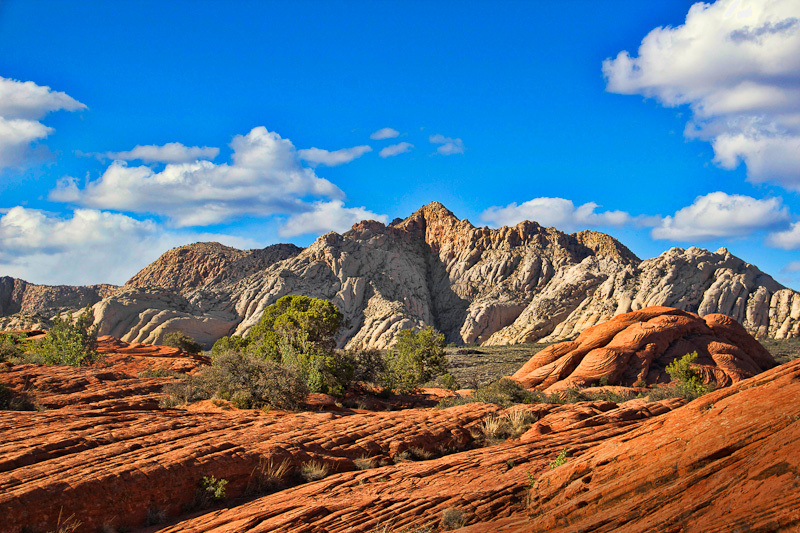 St. George is just 1.5 hours north of Las Vegas and 4.5 hours south of Salt Lake City. We would probably drive to Las Vegas, spend a night there, and then continue to on to St. George. We love road trips in general and having a car to get around our destination, so that’s the perfect plan for us. 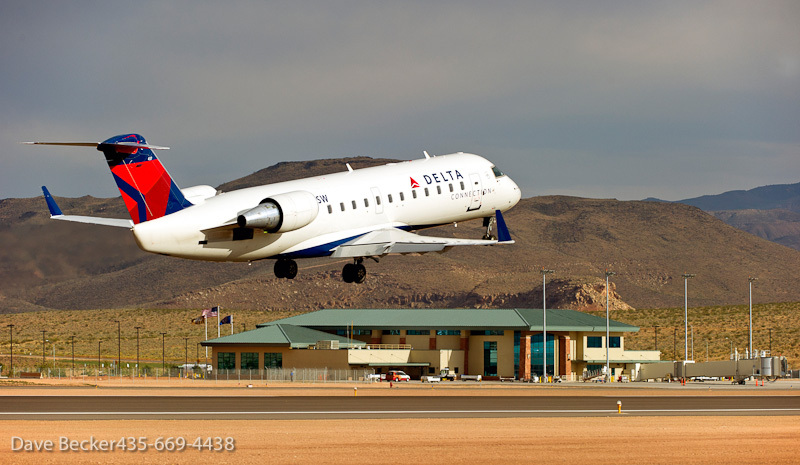 If you prefer to fly into Las Vegas or Salt Lake City, you could rent a car from there or take a taxi or a shuttle service to St. George. 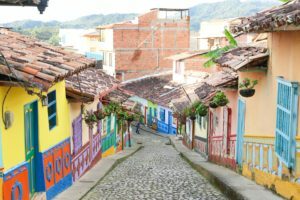 It seems like transportation around St. George is pretty easy to manage with public transport, taxis, and shuttles, so you don’t need a rental car if you don’t want one! We are not really cold loving people and often won’t travel to a certain destination if it’s going to be too cold. After doing some research on weather in St. George, it doesn’t seem to be that much colder than the Southern Californian winters we are used to. Averages are in the 30s, 40s, and 50s, with plenty of sunshine to help make the temperature feel a bit warmer. Despite the sunshine, it’s important to be prepared for a little bit of rain and possibly some snow, especially in Zion. 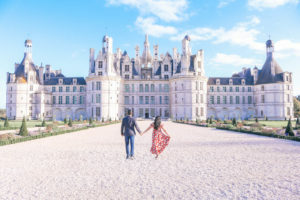 We love having a mix of adventurous, relaxing, and romantic activities when we travel. 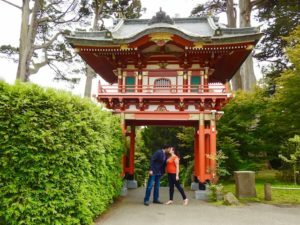 I guess you could say our travel style is romantic adventure travel! There are a TON of activities available in St. George like kayaking, snorkeling, hiking, horseback riding, ATVing, stargazing, photography, bouldering, cayoneering, and more. Here are the top things we are excited to see and do when we visit St. George. This is a MUST for anyone’s trip to St. George! 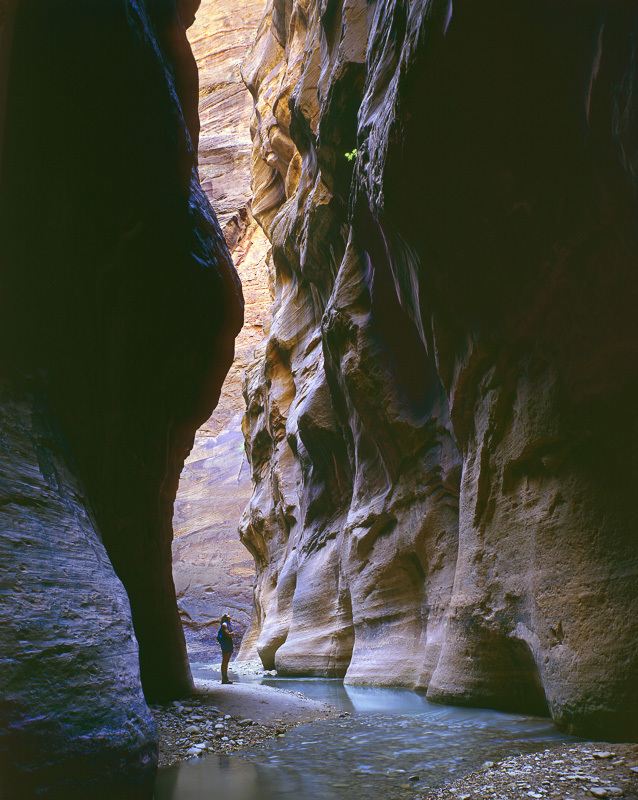 There are five national parks in the St. George area, with Zion National Park being the biggest one. 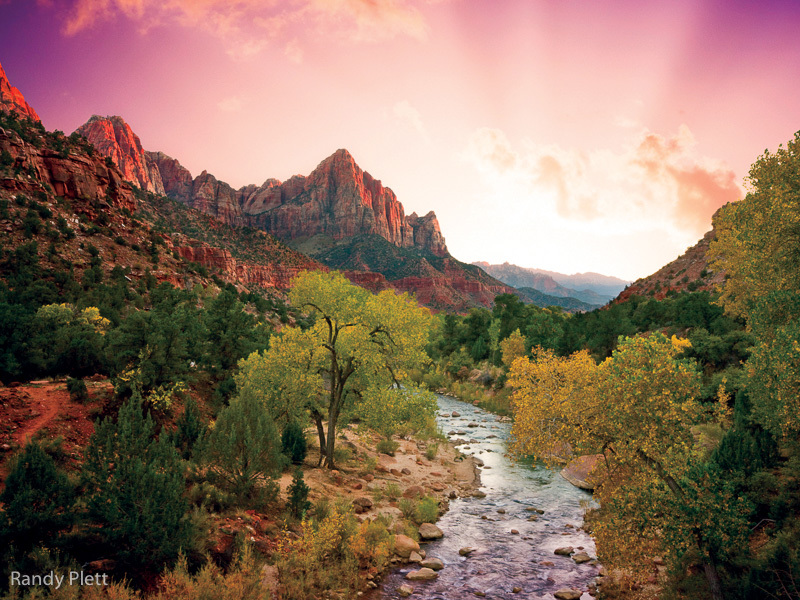 We have heard nothing but amazing things from our friends who have visited Zion National Park. 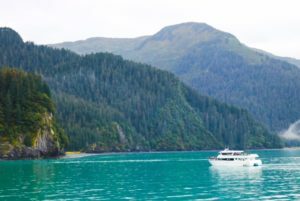 They all said it was a transformative experience and the scenery is absolutely breath taking. There are a TON of trails in Zion, with something suitable for every energy and experience level. The Zion Canyon Shuttle transports visitors around the park and you can get off where ever you like, making navigating the park very convenient. Visiting in the winter might not sound like the best time, but I have heard that the trails just after it has snowed are the prettiest. 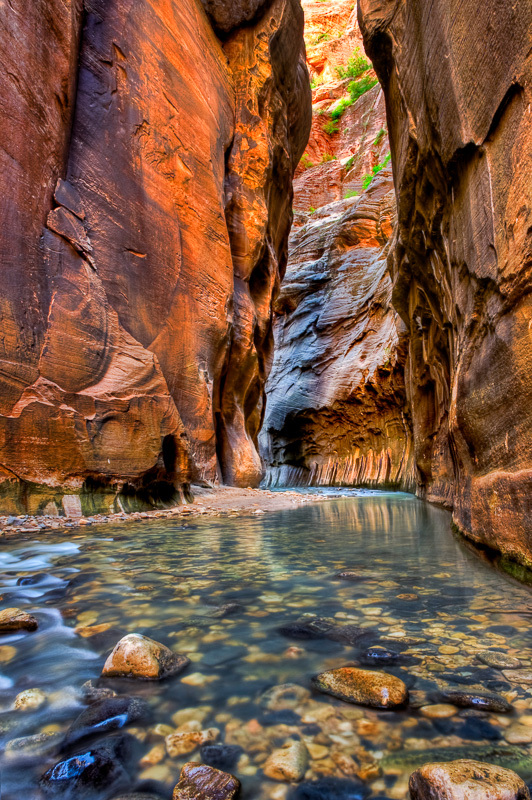 Here are some of the most popular Zion National Park trails. Just a one mile easy hike, this trail supposedly leads to some of the best photography spots in the park. A collection of trails that range from 1.2 t0 3 miles. All of them have spectacular views of mountains, pools, and waterfalls. If the pools are frozen over when you go, they will look even more stunning! This one is a more strenuous hike and clocks in at 5 miles. Anyone I know who has done this hike absolutely loved it and found it well worth the effort. 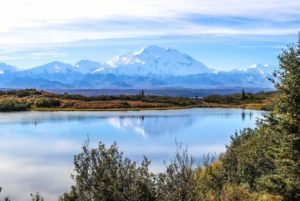 This hike can be very dangerous when it ices over, as such, I would recommend checking with a park ranger to see if the trail is safe that day if you are traveling in the winter. At 8 miles round trip, this one is a long one if you aren’t used to longer trails. This is the highest point you can get to, even higher than Angels Landing. The views from here look absolutely spectacular! The trail is very diverse with caves, meadows, and tree lined paths. A hot air balloon ride has been on my romantic adventure bucket list for a LONG time now and I finally convinced Bassam to go on one! 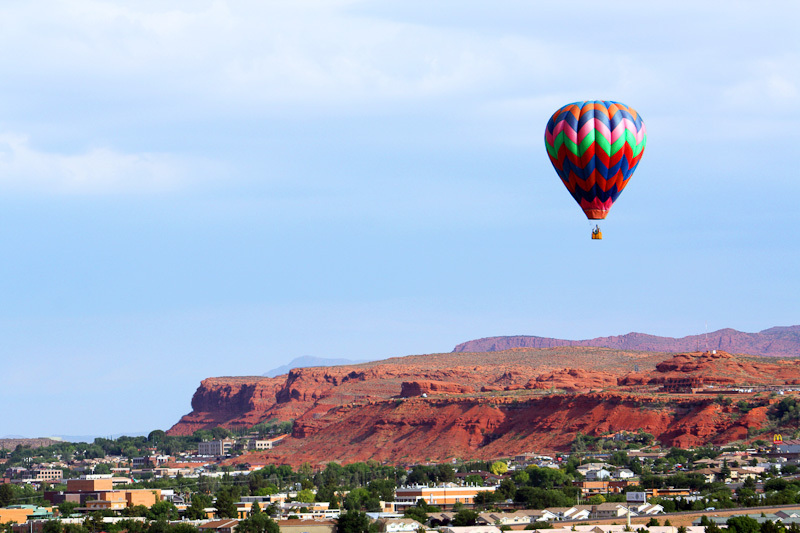 A hot air balloon ride while visiting St. George would be an amazing experience as the views are incredible. If you aren’t a huge fan of hot air balloon rides, you could also go on a helicopter tour! Check out all the aerial tours offered here. Bassam and I went ATVing together a few years ago and have been wanting to do it again. 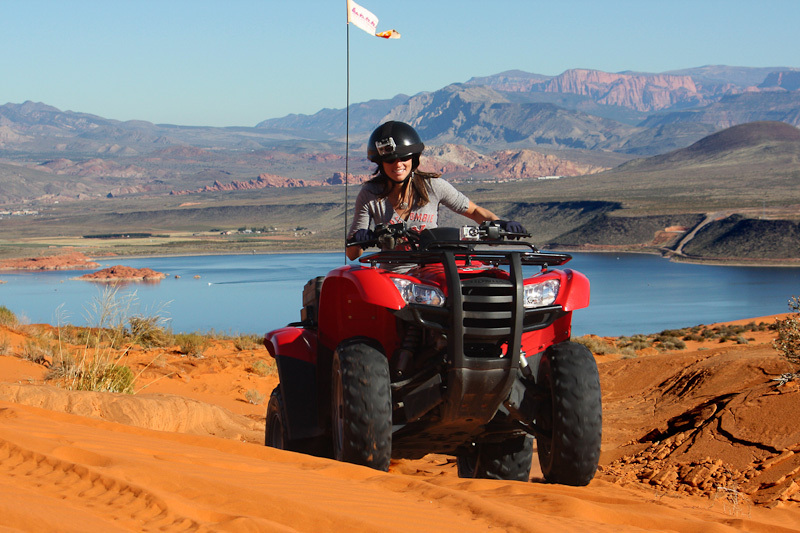 St. George seems like the perfect place to go ATVing as the landscape is so beautiful. You can choose to ride on terrain such as mountain forests, desert lowlands, rocky overlooks, and rolling sand dunes. Check out the ATV tours offered here. If I can convince Bassam (there’s that fear of heights again), I would LOVE to go sky diving in St. George. The views look AMAZING! 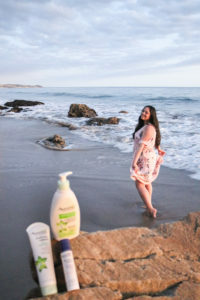 Plus, did you know that activities that evoke fear and are adrelinine pumping also help you fall deeper in love because the same type of body chemicals are activated? There you go, perfect activity for a couples getaway! If I can’t convince Bassam to go sky diving, then maybe we will just do zip lining. Plan your sky diving adventure here. 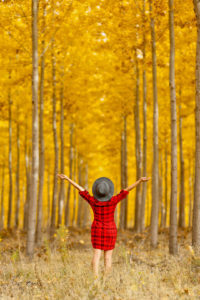 There are a TON of spas in St. George and ending an active and adventurous weekend with a spa day sounds perfect. See a list of spas here. Many of the spas also offer fitness classes and hiking trails if you want to squeeze in a bit more activity before relaxing. Doesn’t a hot stone massage with a spectacular view on a cold day just sound heavenly? There are lots of different accommodation options in St. George from camping to luxury hotels. For a romantic getaway weekend, we would most prefer staying at a bed and breakfast and there are tons of those in St. George. Check out a full list here. 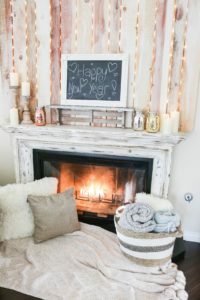 So many of them look so cute and cozy! Ah planning a mock winter getaway to St. George was a lot of fun and eased our wanderlust cravings just a little bit. We hope to be able to make it out there soon! Have you been to St. George? What were your favorite things to do?